Like many folks to visit Glasgow or talk of this city, few people ever realise that Glasgow has its very own underground system. Compared to the likes of the London Underground or the New York City Metro this is a tiny version, the toy train set equivalent! Definitely worth a gander if you’re about these parts. Happened to come across some interesting old video footage of the Glasgow Underground back in the 1970’s before it had a huge makeover in the 1980’s. 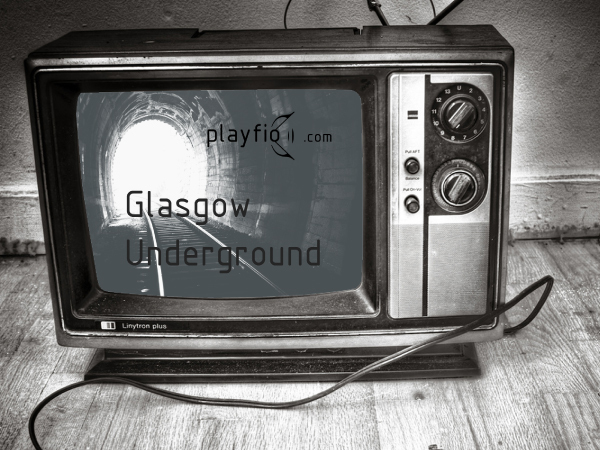 These short films and the general surreal feel of this mini-underground railway even today, provided the inspiration for the latest musical offering from Playfio and with an accompanying Glasgow Underground music video. Many thanks to the users who posted these old Glasgow Underground clips online. These certainly helped when putting together this track and also helped provide one of my favourite samples. The catchy words of “It’s a railroad of dreams my boy, a railroad of dreams” the perfect line to bring together this music.